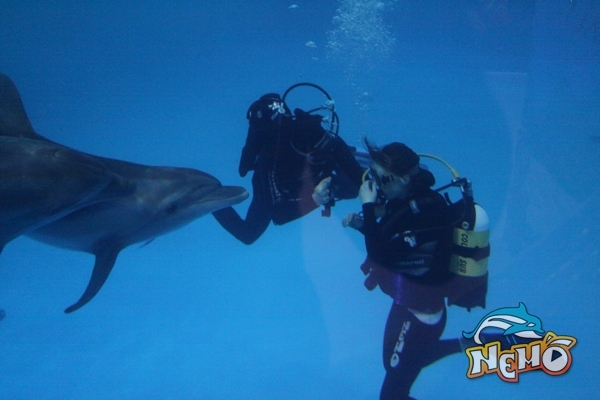 Diving with dolphins represents by itself diving with a whole package of equipment, experienced instructor under water to the dolphins. 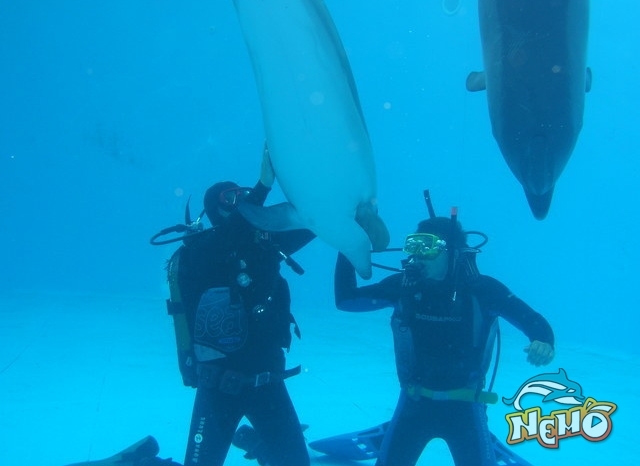 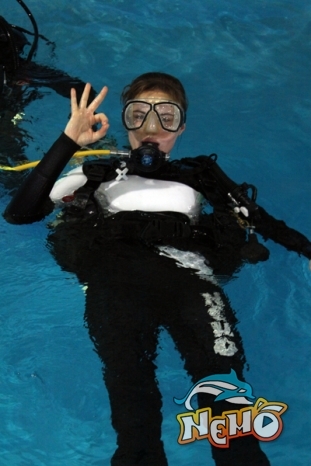 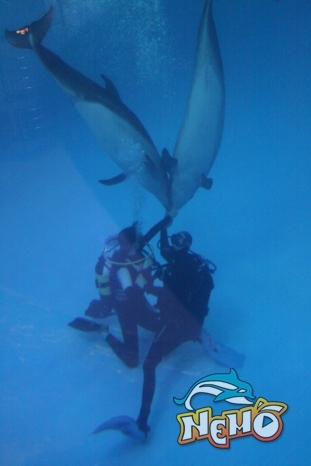 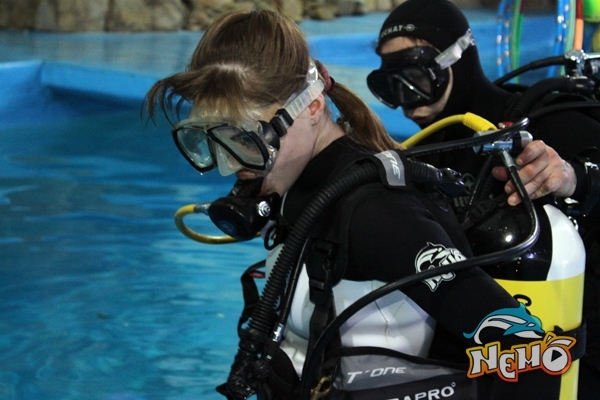 In the dolphinarium You will be met by an experienced instructor of diving, which will choose for You and give a package of equipment for under water diving, will carry out an instruction and dive underwater with you, where you will spend 30 unforgettable minutes with dolphins. 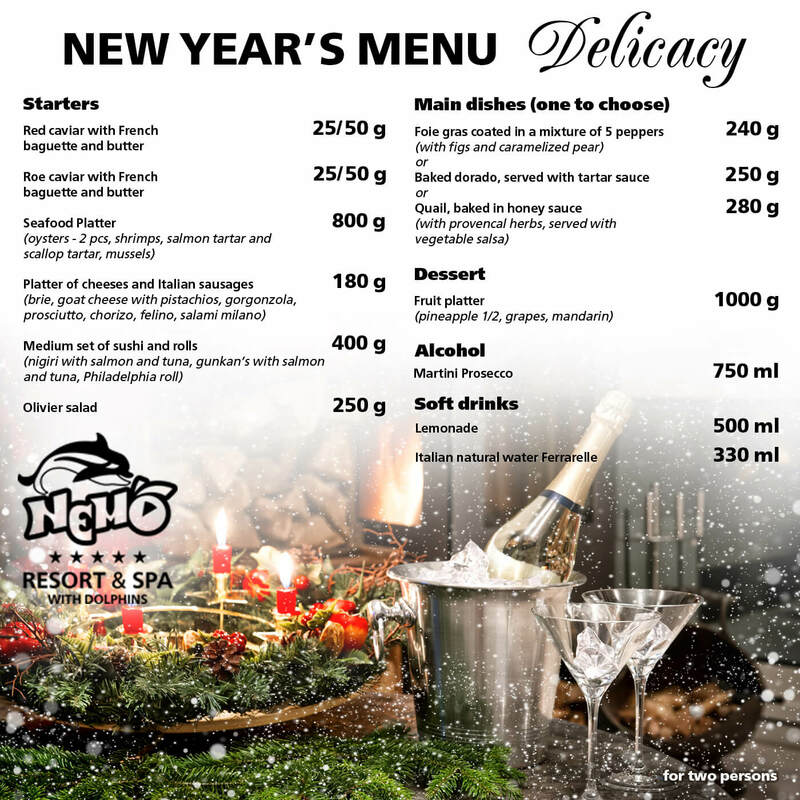 Cost You can see the description page for prices. 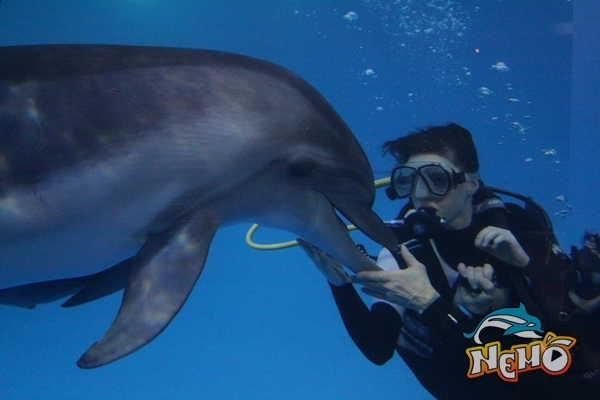 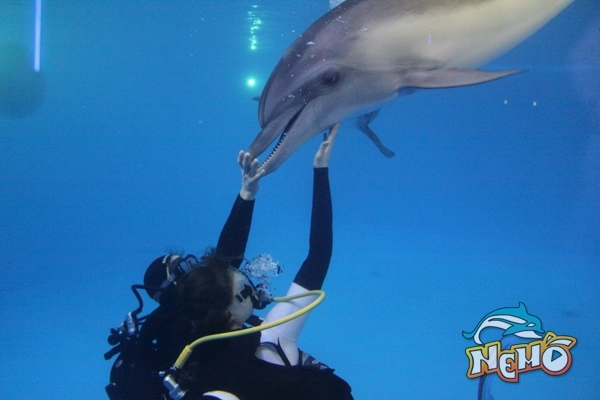 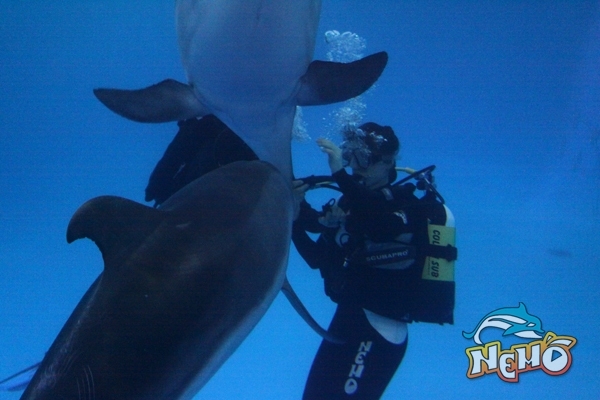 You can make the best gift to an expensive person - order a gift certificate for diving with dolphins.